The city that has been on the top of my bucket list ever since I was a child, is Amritsar. I am so glad that I made a trip to this amazing city and finally ticked it off my list. 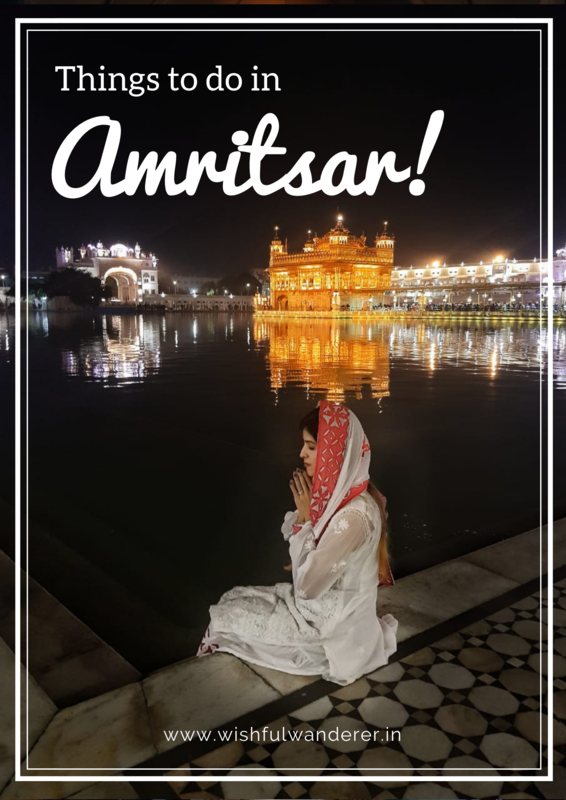 If you’re planning a short stay in Amritsar, here’s a list of the most recommended things to do to get the flavour of Punjab and to bask in the essence of Amritsar! One of the most beautiful temples in India, a visit to the Golden Temple or Sri Harmandir Sahib (abode of God) has been on my bucketlist since I was a child. Finally, when I was here, I couldn’t believe how gorgeous and peaceful this place is. Over 100,000 people visit the Golden Temple daily, unbelievable right? You can also enjoy a delicious vegetarian meal from the largest free kitchen in the world that serves more than 50,000 people every day. The top of the temple is made of pure gold and the reflection of the temple can be seen in a man made lake called Amrit Sarovar which is crystal clear. Hand painted mosaics, gold facades and beautiful interiors, this place is definitely god’s home! 2] Eat, eat and eat like a Punjabi! Amritsar is a heaven for foodies! If you have a couple of meals here, you will be dreaming of them all the time! Bharawan Dhaba, Kesar Da Dhaba, Brother’s Dhaba are a few places where you can enjoy the best of Punjabi food. Chole Bhature or Kulche, Makke Di Roti with Sarson Da Saag, Parathe, Lassi, Gajar Ka Halwa and Kheema Naan! On your way back, pick up some delicious sweets from Novelty Sweets and your folks back home will be so grateful! The Wagah or Atari border, which is also known as the “Berlin wall of Asia”, is a point where India meets Pakistan. Every evening there is a ceremony held here called ‘lowering of the flags’, since 1959. A parade conducted by the Border Security Force (B.S.F.) and the Pakistani soldiers put up a show where they show their pride and love for their nation. You can get a chance to experience the patriotism if you reach there early enough to get a seat for yourself. You can buy tickets for this online or at the venue but you have to be there a few hours before the parade to get good seats. If you love buying local goodies from your travels, you will love Amritsar. You can buy different types of food items like pickles, papads, masalas and sweets. 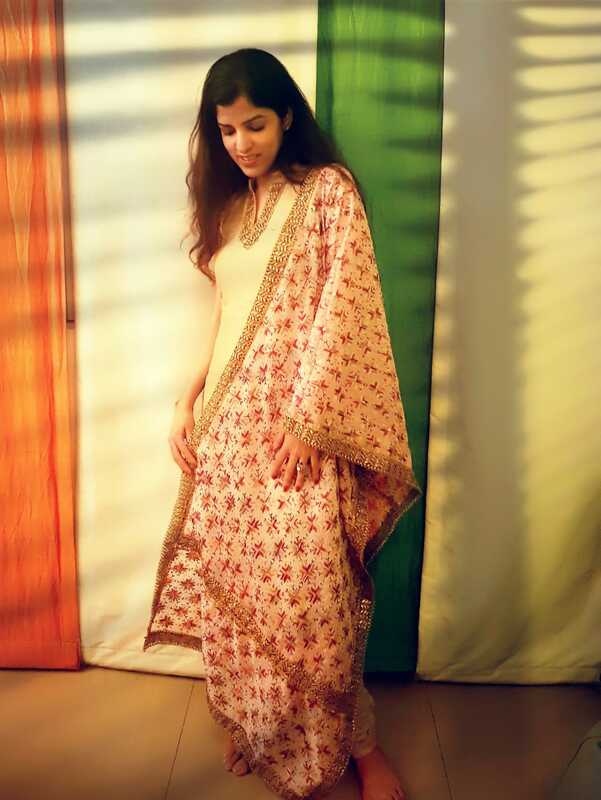 Other than this, you can pick up some amazing Punjabi suits (a traditional Indian attire), heavily embroidered dupattas and shawls and colourful flip flops for really good prices. The Jallianwala Bagh is a open garden in Amritsar, located close to the Golden Temple, which is known for the most tragic massacre in Indian history. The British Army soldiers upon receiving orders from General Dyer opened fire on a huge, unarmed gathering of innocent men, women and children on April 13, 1919. To save themselves from the firing, many people jumped into a well located inside the Jallianwala Bagh. This well is still preserved here. When you walk around the garden, you’ll see a lot of bullet marks on the walls, a little museum with the memories of the massacre and grass structures of men firing. The garden also houses a memorial built in honour of the massacre victims. Every evening, there is a light and sound show hosted here which is narrated with a voice over by actor Amitabh Bachchan. This show recreates the events of 1919 that took place at Jallianwala Bagh and is quite an hair raising and interesting experience. The entry into the park is free and the park is open till 5 PM in the evening. Amritsar, on the whole, is a wonderful experience and if you’re there on a short trip, you can cover most of these things. Abundant history, filled with colours and culturally rich, this city, like the rest of India, is going to give you an experience to remember. Posted in Budget Travel Tips, Eating Out, India, Places to visit, Punjab, Travel, Weekend Getaway, World TravelTagged amritsar food, amritsar punjab, atari border, award winning travel blogs, best cities in india, best indian travel bloggers, best indian travel blogs, budget traveling, darbar sahib, eating out in amritsar, golden temple, golden temple entry, incredible india, india travel, indian travel blog, indian travel blogs, international travel blogs, Jallianwala Bagh, langar golden temple, north india, Punjab, punjabi food, punjabi salwar suit, short trip, things to do in amritsar, wagah border, wagah border show time, what happened at jallianwala bagh, where to eat in amritsar, where to shop in amritsarBookmark the permalink. WOW. Your photos are absolutely gorgeous and I love these tips! I’m planning a (hopeful) trip to India and Pakistan for next year so I absolutely have to include Amritsar on my itinerary now! Thank you! You must definitely visit Amritsar, especially for all the delicious food. Thank you Shivani 🙂 Yes, we were actually there for a day and half so tried to cover all that we could. Defintely be filling up my bag with Punjabi clothes. Oh man,,, the food, its making me miss home but I really do want to try it in India as it will be more authentic! I am from Malaysia so we have quite a lot of indian culture and food as well but I always wanted to try it from its origin! You definitely should make a trip! You’ll love it. I would love to spend a couple of days in Amritsar due to Golden Temple and Jalianwala Bagh. Also, I am a great food lover then Amritsar suits my appetite and also I would buy heavy embroidered duppattas and shawls. You definitely should visit Amritsar. The food, shopping and the Golden Temple, all make it worth it. Wonderful! the Golden Temple looks magical and the food in Punjabi looks delicious I’ve heard a lot about Punjabi and I can’t wait to taste all those foods. Thanks for sharing your story with us! Thank you for your comment. Yes, Punjab is beautiful and the food there is delicious! You should definitely visit. Of course, the Brits were part of some atrocity as colonizers. I love that suit! I bought Indian cotton fabric and have a delicate scarf made with zari gold thread. Love Indian food too so that food will be the main for me. Yeah the suits are gorgeous there! Can’t get enough of the shopping. WOW, the Golden Temple looks amazing! All that beautiful detail and architecture…India is on my bucket list, I just have to find a month off so I can truly enjoy visiting India! India is extensive and beautiful! You will be spoilt for choice, feel free to write to me whenever you want to visit, I could probably guide you 🙂 October – February is the best time. I have not been yet but my parents love it! We are from Delhi so we eat like Punjabis here too haha (though we are Delhi Bongs) but I can imagine it being the ‘real deal’ in Amritsar. I am craving to try some white butter and parantha now. Oh my, you will be sinning with all the delicious food with extra doses of butter and ghee! Thinking about it is making my mouth water, you must visit! When it’s comes to exploring Amritsar the first thing comes to my mind is beautiful Golden Temple, wagah border ceremony and tasty food available here is mouthwatering. Yeah, so much to do! I love Amritsar, it’s so peaceful and chaotic at the same time 🙂 Can’t wait to go back. And the food was to die for! My best friend is Punjab and has promised to take me with her when she next visits her family. I’m so excited to know more about the area now!